Do you remember those "I can't...I'm Mormon" t-shirts that came out a while back? For some reason one came up on my Pinterest feed a while ago, and it, along with this post from Whitney at The Life of a Mormon Teen got me thinking. Yes, as members of The Church of Jesus Christ of Latter-Day Saints, there are many things we choose not to participate in because they are not in harmony with our beliefs. Even though the commitments we make to stay morally clean, keep the word of wisdom, use clean language, not date until 16, etc. can seem binding to some, I see them as liberating. Because of the gospel of Jesus Christ, there are so many things I can do. I can have the constant companionship of the Holy Ghost. I can pray to a Heavenly Father who knows me and loves me. 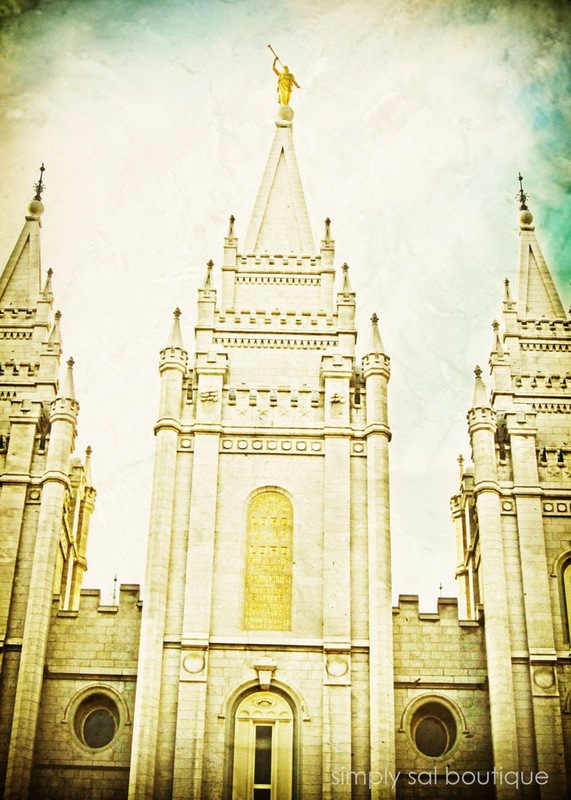 I can live worthy to make sacred covenants in the Temple. I can find joy in ever day, even when difficulties arise. I can have peace in the midst of conflict. I can serve others and be an instrument in the hands of God. I can be a better person. I can repent when I make a mistake. I can walk tall, knowing I am a daughter of God and that He has a plan for me. Most of all, through the grace of my Savior, Jesus Christ, I can do hard things. Through His atoning sacrifice, all of my weaknesses, large and small, can be made strong. In my opinion, the eternal blessings gained through living the gospel far out weigh the momentary pleasure any unrighteous thing has to offer. Beautifully wonderful post :D you make a very good point. Because we choose not to participate in certain things, we can keep ourselves clean and our options open for our futures. I love the way you phrased that, Eliza! We really are liberated so we can have pure happiness! Thank you for reading and for your kind compliments!